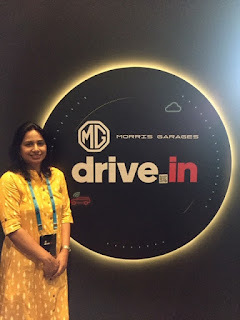 MG Motors India's Hector is the First Internet Car or Smart Car to be launched in June 2019 in India under the mid size SUV segment and so I had every reason to be thrilled when I was invited to witness the sneak preview of the MG Hector at J.W. Marriott Hotel in New Delhi. But I cannot I plunge into the various features of the Hector without first telling you about the way the auditorium was readied for the unveiling. The whole place was made up to simulate the inside of the Hector replete with a steering wheel and the Head Unit in the centre, the sun roof at the ceiling and the windscreen and side windows . Watch the video below to experience it yourself. The Internet Car Hector has been inspired by the legendary Trojan Prince Hector who was a noble, strong and dependable warrior. The Royal Air Force of Great Britain had also employed The Hector Biplanes in 1930 , so that is another Hector story for you. 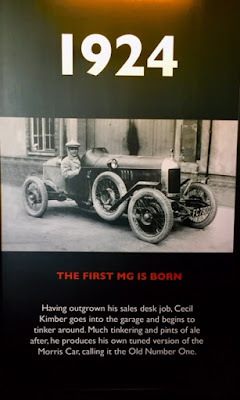 MG Motors India promises the same kind of boldness , power and dependability in this car which promises to be far ahead of its times. The iSmart Technology gives connected mobility everywhere to the user.The OS developed my MG India gives the user remote control of the car through the iSmart mobile App , superior safety features like Geo fencing, quick emergency response and curbing cyber threats,maps and navigation services, pre-loaded infotainment content,Voice Assistant that makes driving your car a smooth and enjoyable experience. 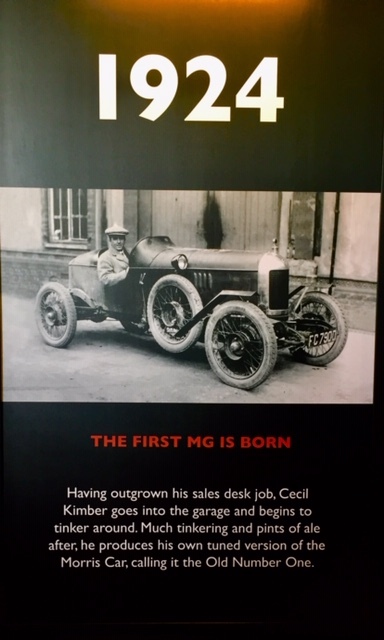 The MG Hector has been built in partnership with leading names in Global technologies -Cisco,Unlimit,Microsoft,Nuance,TomTom,Accuweather,SAP,Adobe,Cognizant,Panasonic,iTeligence and Gaana to name a few.Such big leaders give you a sense of assurance that you have made a sound investment while buying a car. 2. The largest Head Unit at 10.4"
I always like to use my smartphone screen in a vertical fashion and so I was really pleased to discover that the Hector too has a vertically mounted Head Unit unlike the horizontal ones in most cars and it is in fact larger than most tablets in the market ! The Head Unit is packed with pre-loaded infotainment ( in collaboration with Gaana ) with a choice of downloading ten songs of your choice for free and the information is much easier to process at a glance.They are even providing free WiFi subscription (Yay -We love freebies ) ! With an imbedded Machine-to Machine (M2M) 5G eSIM , you can enjoy connectivity on the go anywhere and everywhere .The Connectivity Solution gets upgraded and updated automatically and routinely Over the Air (OTA) thus ensuring that the user gets services like Remote tracking , Geo fencing ,Automated Emergency Response , Music and Content streaming , Real Time Navigation , Remote control of the car through Mobile App seamlessly. I specifically like the Real Time Navigation Updates because poor connectivity really makes navigation a nightmare when you do not know the route and rely on navigation support. Being a female driver and driving at odd times for me -good navigation , updated maps and a Quick Emergency Response helps me feel more confident and secure when driving. OTA ensures that the smart car gets updates automatically like the apps in our smart phones , so you get fresh look , fresh themes , fresh music and updated maps as soon as they are available.This technology will be introduced in Cars for the first time in India through MG Hector. To combat cyber threats and ensure security and privacy , the Hector will have all the Driver and vehicle related analytics stored in a secure local Microsoft Azure Cloud DC so that your Data remains safe and secure. Bye-Bye pesty calls from Insurance companies ! 6.Voice Assistant - HELLO MG ! This was my favorite feature .As an iphone user , I have struggled with Siri, the iPhone Voice assistant, not recognising my Indian accent Voice commands easily. 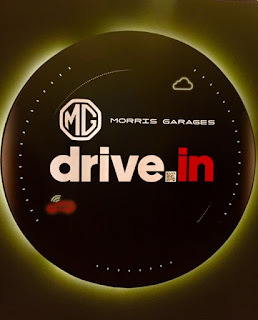 Hello MG has a cloud enabled , Artificial Intelligence based Voice Assistant with over 100 voice commands to control the vehicle - like open sun roof , climate control ,open windows ,radio controls,search songs and navigate places . Most importantly the Voice Assistant has been trained to understand Indian English and its various accents and nuances.The AI enables the Assistant to learn and customise itself to each user. In case you are driving with kids, it will take commands from the driver side only which came as a great relief for me as my kids keep sabotaging my Alexa commands at home ! The E-call feature is an Instant Emergency Response.In case of an accident when the Airbags are deployed, the E-call is automatically triggered and sends a message through the connected system to the Emergency response team at Pulse Hub or MG's Customer Care centre, The Pulse Hub then calls to reach the Head Unit or the Driver of the car and in case there is no response , makes a call to the emergency contact listed. The keyword here is Quick , everything happens fast ensuring that help reaches the driver ASAP because every second counts in an emergency. When the I-call button is pressed ,a message is sent to the customer service agent at Pulse Hub and the agent then makes a call to the owner on their phone.The customer can request Places of Interest , ask for help in finding location , in which case the navigation system will take charge. TomTom is the world leader with 600 million Vehicles uisng its Maps and Navigation because its maps are updated and the traffic data is real time.MG Hector iSmart comes with embedded maps and navigation from TomTom thus making navigation easier. As a present to its customers,the MG Hector iSmart comes pre-loaded with the premium version of Gaana App that streams ad free music and downloads.The 10.4" Head Unit gives a better visual experience and added features. The iSmart Mobile App will be available to every MG Hector Owner and once fired this App can scan the car and give instant information about the Vehicle range, Fuel status,Lock/Unlock status,enable remote Climate Control , find your car , give info about tyre pressure , create travel plan and help you drive smarter through its iSmart Drive. Just imagine reaching your office and wondering if you locked the car ? With this App , you can relax and check the status and lock the car and sunroof sitting in your office! Or even switch on climate control so your car cools to your preferred temperature while you walk to it. Besides the above ,what else will work in favor of this SUV from MG motors India is their carefully cultivated Superior Customer Business Experience where you are not at the mercy or whims of the car dealer.You can get to test drive the exact model or color of the Hector that you wish to experience, you will get service alerts through your iSmart App and you will get alerts when your car is ready for pick up. Service charges will be disclosed at the very outset when the car is brought in and scanned and you don't have to shell anything more than what has been quoted at the outset. Sounds amazing - right ! With the British Actor Benedict Cumberbatch ,who has won accolades for his roles as Sherlock Holmes, Stephen Hawking and Doctor Strange etc,being the Brand Ambassador of the Hector and convincing us that this car is smart enough to be considered a friend in the campaign #ItsAHumanThing ,this Internet car is all set to make big waves and definitely going to set the bar quite high for it competitors. You can expect the Hector to hit the market in the second quarter of 2019. Let the countdown begin ! Bushra , the curiosity is killing me too ! 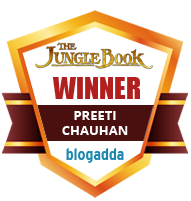 Very good and detailed review Preeti. The Hector indeed looks like a futuristic car with its high end features. The use of iSmart technology takes this car to another level. Would be absolute fun to get behind the wheels of the Hector. I was mightily impressed by the Hector ,now if it can actually be implemented it would be a dream car ! A detailed and comprehensive post. The fast paced life needs a futuristic car with all the fancy technology and smart apps. The Hector seems to be covering it all. It is high time that Indian cities get good cars , though good roads and internet connectivity is so important too. Wowww I'm.so excited to see this beauty on the road. What amazing features it has. It is a marvel - I agree ! Real time navigation is definitely a big plus. I liked the voice assistance compatibility with other accents as well. Yes, Accent is important because Siri gives me a hard time sometimes! 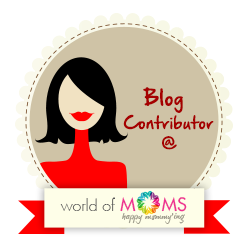 I have read your full post and I want to say that this is a very nice blog. Thank you for sharing this post really great and wonderful article. You are talking about Morris Garages which are really well-written. Thank you for appreciating !